We were all bummed when developer Sam Ruston pulled the fantastic Weather Timeline app from the Play Store last year. According to Ruston, the API costs made the app unfeasible to run in the long-term, which is understandable for an indie dev. Then, we saw a new developer had taken over the listing in late 2018. Now, ACME AtronOmatic has published its first update to the app. It's not going very well, though. The new version (which is still rolling out slowly) is the first update to Weather Timeline in more than six months. 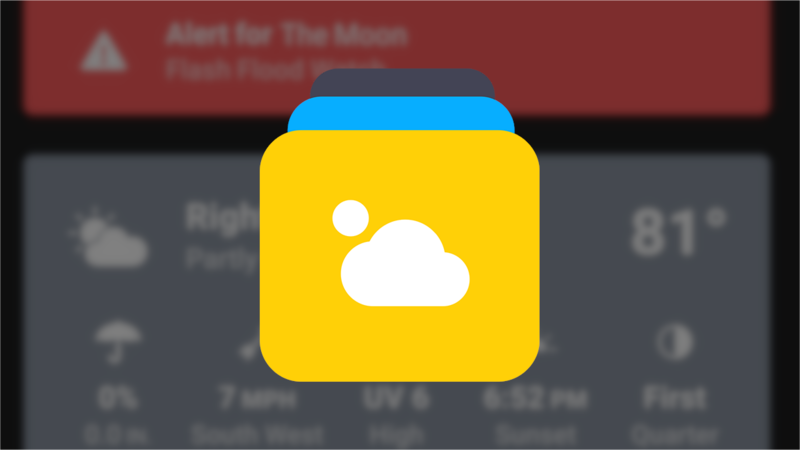 The app may look the same, but you no longer have any choice in weather data providers. The company's own MyRadar API is baked into Weather Timeline, and people don't seem pleased. We've been getting tips from annoyed users, and there's a Reddit thread with various complaints. Many question the accuracy of MyRadar's data, especially those outside the US. The hourly predictions might not even work in some areas (our tipster says they're broken in Germany). The MyRadar apps from ACME AtronOmatic have also been accused of selling user data to third-parties. 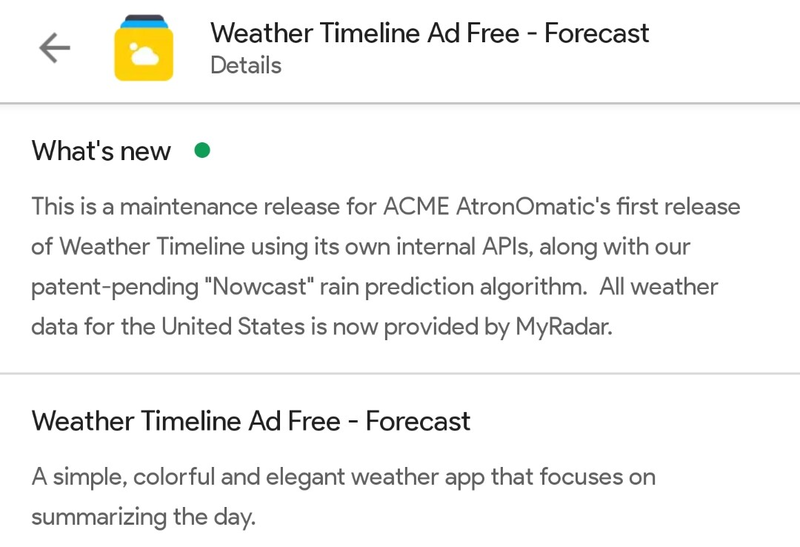 If this first update is any indication, ACME AtronOmatic is going to wreck all of Weather Timeline's goodwill in record time.